I will be using this in my next montage but I think it also works on its own. A bit of a mental block going on as I decide how to start the jig saw. An arch maybe ? 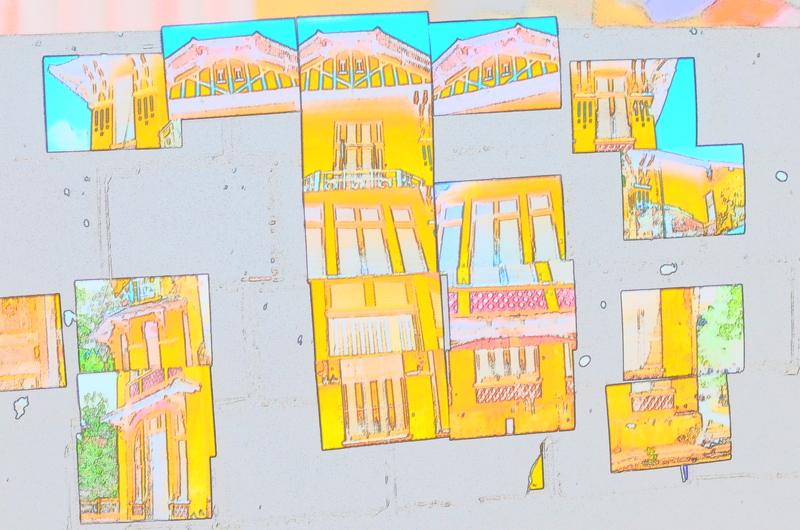 At the moment I am working on new material for a series of photo-montages on French Colonial architecture. These will be displayed (subject to approval) at Le Temps des Cerises. Or another venue to be announced. I have two completed Colonial buildings. A rural house and a huge river side montage that has proven a challenge to display. In fact it is divided between the Villa Lanka Hotel Phnom Penh and Else Where Hotel at the moment. It is too long in fact and I have divided into eight frames and will post soon. I post a sketch of my last building of a school house. Leave a comment Posted in Uncategorized Tagged French Colonial Buildings Phnom Penh.